HE JUST KEEPS GOING AND GOING AND GOING...Nobody doubts the business expertise of KCBS money reporter, Jason Brooks. He's on top of it from early morning to late afternoon. But the voice. The vanilla monotony that dulls the senses. Yes, I'm getting personal, of course I am. Brooks' voice drones on and on almost like a robotic bot that sounds almost computer-like. Brooks doesn't have to sound hysterical; he's positively blase. But it would be wise of him to pick it up a notch and get away from the monotone buzz switch. It's downer-central. And I'm being kind. *Speaking of KCBS, their morning cacophony of ENDLESS commercial spots has begun to cause ear aches. It's especially evident after the prolific traffic reports where four-minute clusters of continuous ads borders on obnoxious. Sure, you have to pay the bills but this form of commercial spot overkill amounts to greed personified. 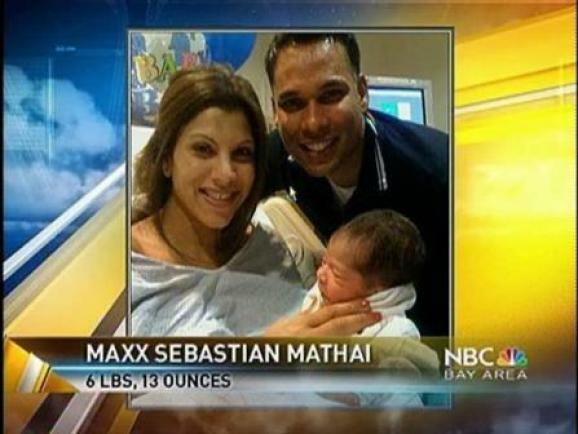 *Once again the rumor mill has heated up over the status of lead NBC Bay Area anchor, Raj Mathai, as the 30 Rock News folks are hot on the trail of Mathai who seems pretty much set to remain in the Bay Area and San Jose specifically. 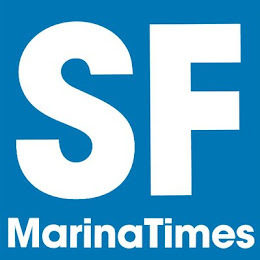 But while his partner, Jessica Aguirre, is working without a long-term contract, Mathai not only signed a long-term extension, but one which had several zeros in it and makes Raj near the territory of Frank Somerville at KTVU and Dan Ashley at KGO.. (The latter nearing his own extension which could make him the undisputed salary king of Bay Area TV News) And well deserved. Mathai seems to me to not want any part of NY even if it means working in Manhattan amping up his career, which it most certainly would. Mathai has a growing family and is quite settled down in the South Bay. A network gig might be prestigious now but Mathai could wait until his kids get older and then migrate to the east. Then, the money will be even better and his family situation is more ready for the move to Gotham. *Nearing a year with KRON, Ken Wayne's migration to the albatross station hasn't produced any iota of buzz whatsoever, in fact, ratings are pretty much stagnant. Wayne left KTVU when they didn't offer him a contract extension (and took a massive pay cut). Seems his gig at KRON would be more conducive for the soft-spoken Wayne but that's not the case. Wayne is a steadying anchor, for sure, but excitement is not his greatest virtue. He makes departed Steve Aveson look like a relative Ron Burgundy. Raj isn't going anywhere. There's nothing open at the mothership, except maybe an hour here and there at MSNBC. Brooks voice is just fine. Slow Friday I guess. KCBS plays a lot of commercials because they’re allowed to. FCC allows AM stations more allocation to commercial time. They’re also top rated so they can fill their avails. Your favorite AM plays fewer commercials because they live in ratings dogtown. Ruff, ruff, raooooor! I've heard the stories on the radio about how Raj carries himself when he's out in public. And you think Ibanez is full of himself? Whoa boy. - Brooks has a lot of business info to keep up with. Hence, drone sound and low energy on the air. - Advertising is beyond reckless on AM, haven't kept up with FM, and is starting to creep toward reckless on TV. Discretion remains a disease in that profession. - Mathai deserves the same level of respect as Ashley and Somerville. Aguirre should be given at least a little respect. Need to get to the root of the delay; do they want her or not? Are they too chicken to make a decision or too stupid? - For Wayne, anything was better than The Firm. Raj is too smart to move to NYC and deal with that gig. He went to SDSU, after all - the Harvard of the West. Who at KCBS has called you out or ignored your emails? You have been attacking them recently--90% trivial nit picking IMHO. Two X's. What a douche. Surprised the kid wasn't named Rajjj. Rich, there's a segment been playing on KCBS this weekend about a piano company. It's unclear whether it is a commercial or a new story. But it seems more like a commercial than a valid news story. Any ideas which it is? Seems to me if KCBS is running commercials disguised as news stories, there's no way for the listener to distinguish what's news and what's a sales pitch. OMG! It's Black History Month, again. KTVU is re-interpreting history trying to "humanize" the Black Panthers. You had to live in Oakland in the 1960s and experience the intimidation the Black Panthers practiced marching through and around Lake Merritt. They certainly didn't treat people who were in their way as human. They took over whatever areas they chose and if you weren't black, they chased you completely out of the area. Oh, yeah, they were just "regular' guys ... regular, organized thugs. Too bad the truth is so foreign to mainstream media.